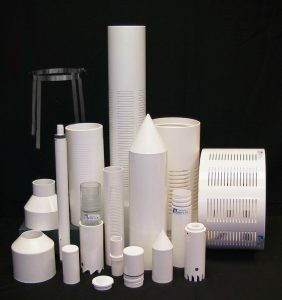 Morris Industries, Inc. is the premier source for PVC screen and casing for water wells in Middletown. We offer PVC screen and casing for ground monitor, recovery systems and water wells that are custom fitted to suit your equipment. Our PVC screen and casing products are subject to harsh quality control procedures. Morris Industries, Inc. currently maintains multimillion dollar inventories of our products including PVC screen and casing equipment to ensure that we provide our customers in Middletown with the best service possible. We have been providing quality services and products to our customers in Middletown since we opened our doors back in 1958. Our PVC screen and casing experts provide unparalleled service at an unmatchable price to our customers in the Middletown area. If you would like to find out more about the PVC screen and casing products that we have to offer in Middletown, please call Morris Industries, Inc. today at 860-349-1777. You can also get in contact with one of our knowledgeable representatives by simply filling out the online request form located on this page. An effective PVC screen and casing is capable of providing support and security for a well shaft. PVC is a thermoplastic material that is resistant to pH corrosion which makes it an effective material for water wells. Also because of its low specific weight, PVC is easy to move and to install when compared to other materials. PVC screen and casing products are also an eco-friendly alternative to other materials because it can be easily recycled. All of the PVC screen and casing that we offer in Middletown is inspected and tested to ensure that they are capable of providing quality service and protection to our customers. Morris Industries, Inc. is proud to offer our customers in the Middletown area cost-friendly PVC screen and casing options for their systems. We offer our equipment at affordable pricing to effectively suit our customers’ budget. To find out more about our selection of PVC screen and casing options in Middletown, please call us today at 860-349-1777. You may also reach out to any of our knowledgeable representatives with any questions by simply filling out the online request form on this page.